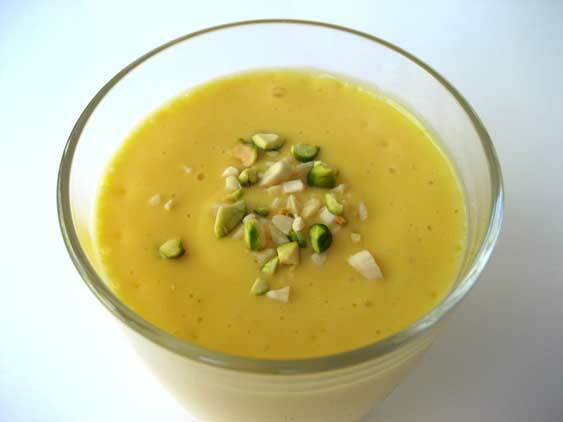 A simple and yummy mango lassi. If you have never tried a lassi, it is a simple a yogurt and milk based drink it can be either sweet or salty. I prefer the sweet kind and with the addition of mango it is just plain good. 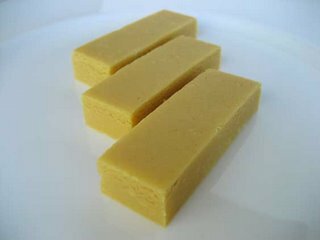 Mysore pak is a traditional sweet, which originates from… you guessed it, Mysore, India. It is made from besan (chick pea flour), sugar, ghee and cardamom. I found that the most helpful tips for making this from the knowledgeable Indira of Mahanandi, who has a wonderful blog and is clearly an expert at Indian cuisine. 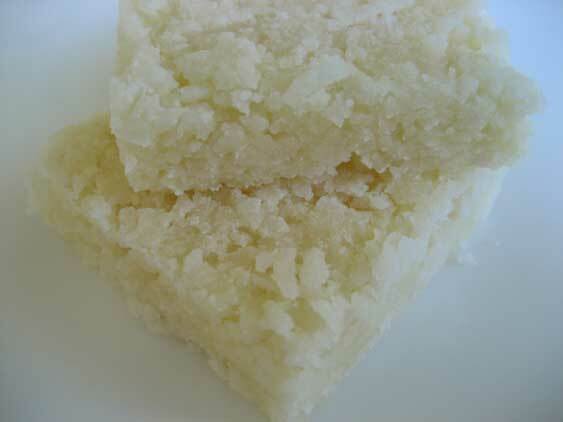 Coconut burfi made with fresh shredded coconut, sugar, ghee and cardamom. Coconut burfi should be flavourful with a soft and chewy consistency. Almond burfi is a common type of burfi, other common nut burfi’s include: cashew and pistachio. 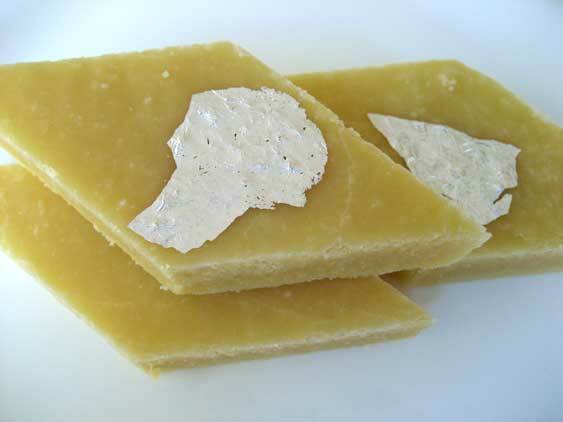 Almond burfi is made from ground almonds, sugar, ghee, and cardamom. It holds together and has the same weight as fudge, but it has a different texture and mouth feel. My two favourites this week are the mango lassi and the almond burfi. If you try out either of these recipes, I hope you enjoy them as much as I did. Posted by Sam at 11:26 p.m. I know pretty much nothing about Indian sweets so your posts are fascinating! I'm so impressed you made so many different kinds! Where did you find your recipes? I'm with Anita. I'm unfamiliar with Indian desserts so it's been a pleasure to see what you've come up with. I'll take a mango lassi please! I envy your dedication and your patience to try and retry recipes... thanks for introducing us to this sweets. you're so adventurous, Sam! I feel like I've travelled just by reading your posts! well, I'm turning my computer off (after I’ve written down the recipe...)and I am going to make a mango lassi! Having been to India several times - and especially loving the cathederal city of Mysore - your Indian sweets selection really took me (a)back! Enjoyed your blog. If youre interested in free weight loss tips and Weight Loss please visit this site.